Sit back and relax as you enjoy a private transfer from Bali International Airport to Bali Hotel (your accommodation in Kuta, Tuban, Seminyak, Legian, Ubud, Tanah Lot, Tabanan, Jimbaran, Nusa Dua, Sanur, Candidasa – Lovina area & Canggu). You will be picked up by your driver/guide depending on your flight's arrival time. You will then enjoy Bali scenery while traveling to your hotel in Bali, worries free. The transfer length will be based on your drop-off location. Get inside tips from the locals, Multiple times offered throughout the day, Pickup from a centrally located meeting point, all taxes, fuel surcharges and service fees included! - In the event of couldn't find their name on the signage, please proceed and wait at THE FLIGHT INFORMATION DESK, our airport representative will meet them at the meeting point. - Maximum waiting time for arrival transfer is 90 Minutes from Flight Arrival Time. - Please look at the exit gate area and look out for our representative who will hold an A4 Size Placard with your Booking Guest Name Stated at Arrival Hall Paging Area. Airport representatives will be waiting in the paging area with a sign with your name. The paging area is on the Exit Gate at the International Arrival Hall, after the Baggage Collection Area and Customs Check Point. Additional Note: It is best to look for your airport representative at the Exit Gate at paging area. One or Two suitcase and one carry-on bag allowed per passenger. This transfer is no wheelchair accessible. Depending upon availability, the vehicle provided for the service may not be exactly as depicted in the photo. • Airport to Kuta, Tuban area approximately 5-10 km will take around 15-30 minutes. • Airport to Ubud, Tanah Lot, Tabanan area approximately 40 km will take around 1 hour 30 minutes. • Airport to Nusa Dua, Sanur area approximately 10-15 km will take around 30 minutes. 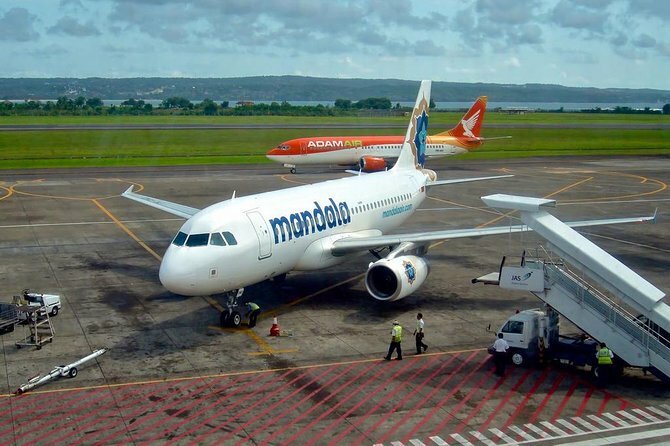 • Airport to Candidasa – Lovina area approximately 60-80 km will take around 1-2 hours. • Airport to Canggu area approximately 20 km will take around 1 hour. • Airport to Seminyak, Legian, Jimbaran area approximately 20-30 km will take around 30 minutes.